The Bird Floor Wand from All for Paws is a toy for cats. The toy bird makes bird noises when your cat plays with it and stimulates your cat's natural hunting instinct. The catnip makes this toy even more appealing. Cats are very good at entertaining themselves, The Bird Floor Wand from All for Paws stimulates your cat's natural hunting instinct. When your cat plays with the toy bird, it makes bird noises. The catnip in the toy makes it even more fun to play with and stimulates your cat's natural behaviour. The Bird Floor Wand comes with batteries included. This product is delivered at random, you cannot select your variant. 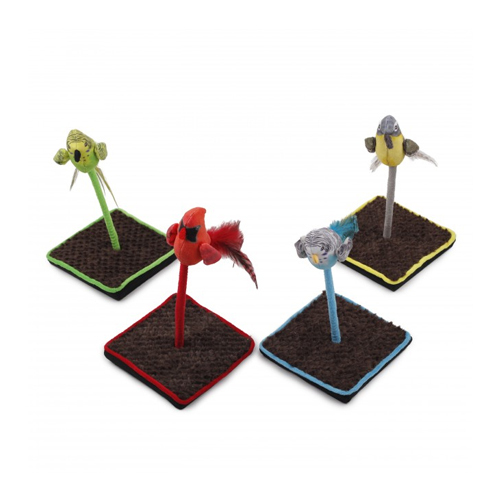 Have you used AFP Bird Floor Wand before? Let us know what you think about this product.